It is important to pursue a hobby, particularly if it can earn you a few dollars in addition to your regular income from your job. With the growth of internet over the years, plenty of opportunities are cropping up for those who have decent writing skills. How would you like to earn a decent weekly income in excess of 20$ by getting paid to write a few articles every day? Here, I would like to introduce you to a genuine PayPal paying site which is serving the needs of an amateur writer as well as an accomplished writer. It is called iwriter. Would you be interested in getting paid 2.43 $ for a 500 word article as a Standard writer? If you think the payment is very less, there is good news. If you can come up with 30 articles( in your own time of course) which are approved with a rating of 4.6 (out of a max. 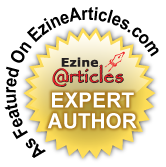 rating of 5) or more you are immediately considered an Elite writer and the payment for a 500 word article will become 10$ or more. Now, how does that grab you? Ok, if you can't become an Elite writer but your rating is more than 4.0, you immediately become a Premium writer and the payment is 4.05 $ and more for the same 500 word article. There is work all the time and the writing jobs are clearly specified keeping in mind the Elite, Premium and Standard writers that are active on the writing board. It means that as an Elite writer you have competition only from Elite writers for the writing tasks meant for Elite writers. But you can take up the writing jigs meant for the Premium and Standard writers. The Premium writer cannot take up an Elite writing task but can do the Standard writing task along with the Premium writing tasks , of course. This actually works as an incentive to aspire for the Elite writer status for the beginner who starts as a Standard writer. What is the kind of writing tasks one can expect? Articles, Rewrites, e-books...etc. and the length can vary from 150-300-500-700-1000 words. I am a lazy writer and it is difficult for me to write regularly and consistently. I began well and most of my written work was approved with a rating of 5. But the early success made me complacent and careless and a few rejections later, I found my overall rating drop below 4. But thanks to my persistence when I reached 30 reviewed articles my rating was more than 4 and I was thrilled to become a premium writer. Whenever I wrote well I was paid weekly when my earnings crossed 20$. Now, after having taken a few weekly payments which total up to more than 100$ I fancy my chances to become a freelance writer and earn more than a 1000 $ a month by writing on line. I feel this is an active and reliable testing ground for those who want to start an online free lance career as a writer. The payment is decent and prompt. My call to budding writers is to muster enough courage and earn your first US dollars in a week's time from now. After that you decide what you want to achieve on line. To register for FREE and to start writing click here now. I came here from a (your?) LinkedIn page. I had asked on a discussion thread there as to why I wasn't able to login to iwriter.com. I was in fact able to follow your link and login but my joy lasted only for a day. The support desk also told me that as I was able to login through an external link, I was fine and could continue to do so. But I am facing the problem again now. I get special requests but sadly am not able to access the site. Any ideas about what I can do now? Any help in this regard would be highly appreciated. Thank you.